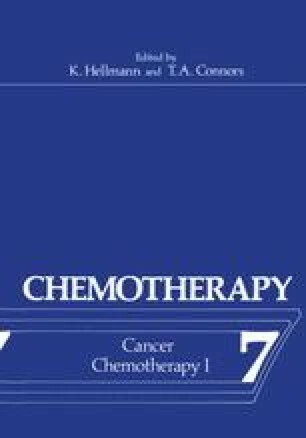 The use of chemotherapy in the treatment of malignant glioma is not new. Since the earliest days of using nitrogen mustard, a few score of patients have been treated with whatever was the agent of interest at the time. The problem has always been to assess the value of these compounds which obviously have modest efficacy and an extremely low therapeutic index. These evaluations were usually carried out in patients who were seen at anytime during the course of their disease, but frequently upon recurrence and at a time when they were deteriorating. Thus, we have multiple reports within the literature which are, at best, discouraging and, at worst, inconclusive.